The Visual Reactions exhibit by a Kuwaiti artist on display in the FedEx Global Center. 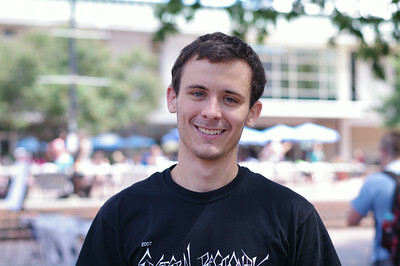 University of North Carolina at Greensboro junior Brennan Ferguson is part of a special education program. 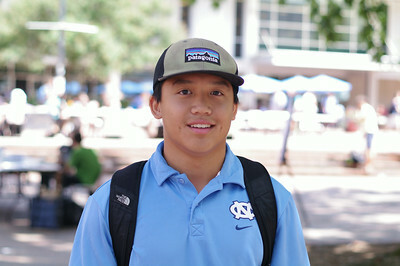 UNC-G is one of few universities in the country to offer the program. 22 companies collaborated this weekend to create the North Carolina state beer at Mystery Brewing Company in Hillsborough. 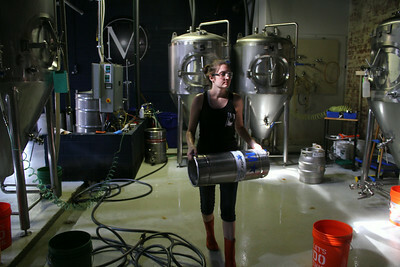 Erica Tieppo, from Detroit, Michigan, works with the beer through its fermentation process. Chancellor Carol Folt spoke with faculty Monday afternoon in the Steele Building. 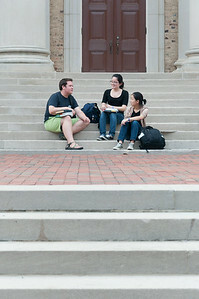 Among the topics discussed were Title 9, Board of Governors, and the recent passing of Professor Feng Liu. 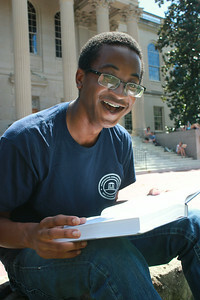 Raymond Blackwell, a Junior Chemistry major is ready to get back into the Carolina lifestyle (pictured Monday afternoon reading on the main quad). 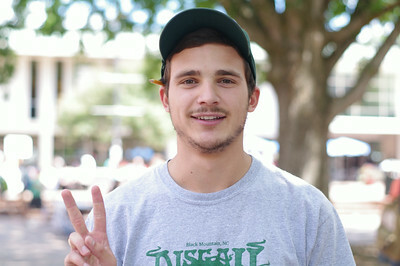 In a moment of advice for the new first years, Blackwell commented, "Take advantage of all of the opportunities at Carolina while you can. Go out and look for stuff to do, be proactive. There's so much going on at Carolina if you just make an effort to look for stuff then you're never going to be bored. 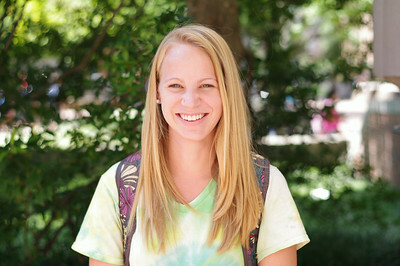 If you're bored then you're doing college wrong." While doing construction work at UNC President Tom Ross's house on Franklin Street the remains of the original house were discovered under the driveway. Professors and graduate students from UNC's Research Laboratories of Archaeology work to unearth ruins from the site. 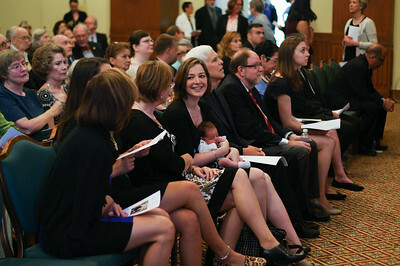 Darryl Gless' wife and daughter attended the memorial service on Sunday. 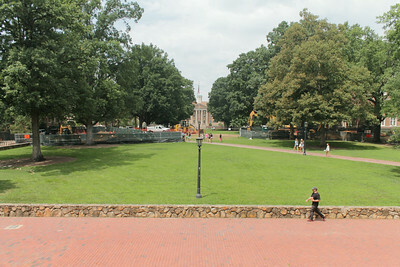 While doing construction work at UNC President Tom Ross's house on Franklin Street the remains of the original house were discovered under the driveway. 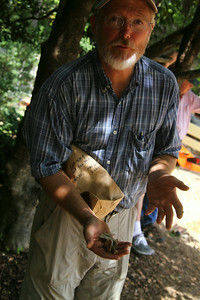 Professor Brett Riggs of UNC's Research Laboratories of Archaeology holds out some of the artifacts found at the site. Protestors gather at the Peace and Justice Plaza on Friday to show support of everyone who is resisting in Ferguson, Missouri. 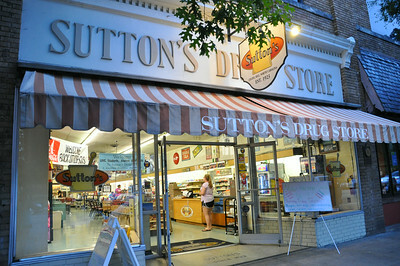 Sutton's Drugstore offers people breakfast, lunch, dinner and milkshakes. 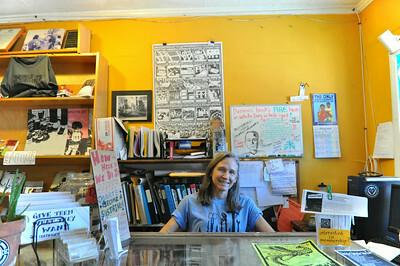 It is located on Franklin Street in Chapel Hill, NC and is currently being renovated. 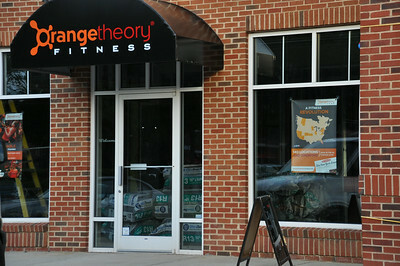 Orange Theory Fitness Center is new to Chapel Hill, NC and is located in the Meadowmont Village Shopping Center. They offer strength training and cardio workouts to customers. 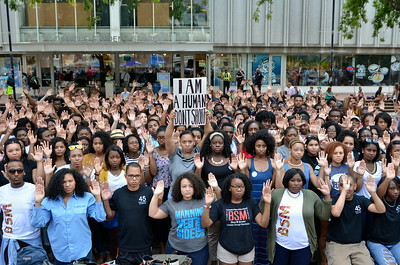 The Executive Board of the Black Student Movement hosted the "Don't Shoot" event on Wednesday in the Pit. 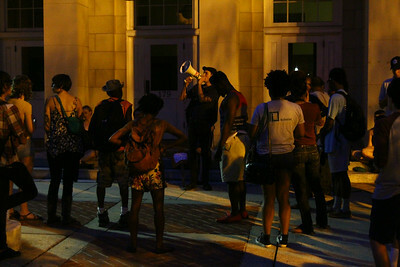 The event was held in recognition of the Ferguson Riots and specifically Michael Brown. 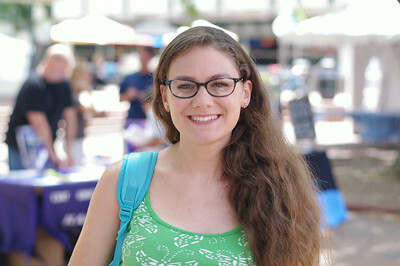 During the event, Brandi Kennedy, an exercise and sports science major, explained that "we still have a very long way to go and we need to stay informed." 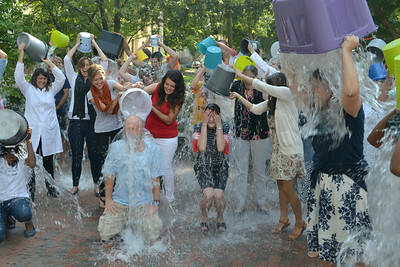 Individuals come together Wednesday afternoon outside of Davie Hall to complete the ALS ice bucket challenge in honor of a psychology professor who was recently diagnosed with ALS. 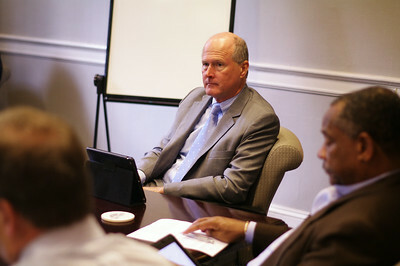 Members of UNC faculty, including Executive Vice Chancellor and Provost Jim Dean, met on Tuesday to discuss academics of student athletes. 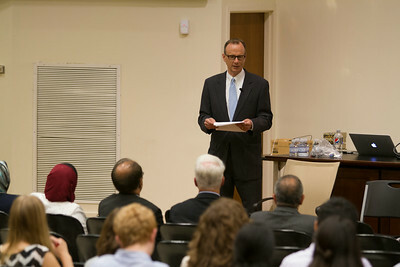 John Drescher speaks at a conference on how to improve Medical Education in Iraq in Carroll Hall. The talk, given on Tuesday evening, was given to a group of Iraqi professors, NCSU Park Scholars, and medical school students. 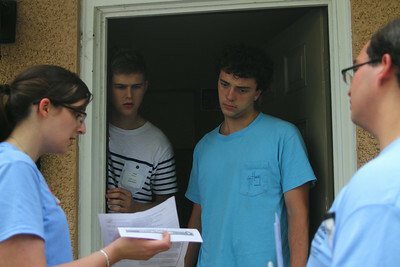 Good Neighbor Initiative volunteers, Cassandra Bennet (far left) and C.J. 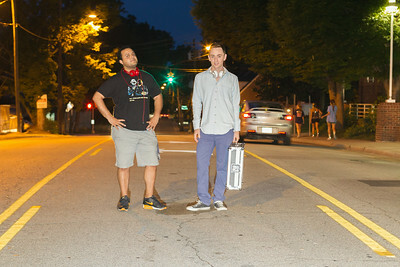 Click (far right) speak with UNC students Jakob Nielsen (left) and Nataniel Lelental (right). 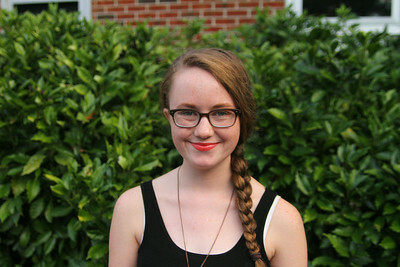 Christina Townsend, a junior communications and journalism double major, creates unique works of art which she sells to fellow students. 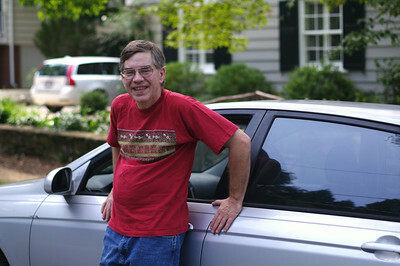 Libertarian candidate and pizza delivery man, Sean Haugh, stands in front of his car on August 16th, 2014. 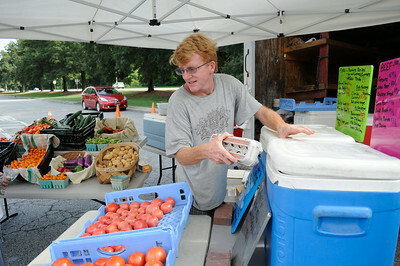 Ben Bergmann, a farmer from Fickle Creek Farm, has been a participant of the Chapel Hill Market for 12 years. Taking place in the parking lot of University Mall, the market is has moved its location several times. With the prospect of having a permanent home, Bergman says, "I wish it could be here permanently but it's a little tenuous to be honest. 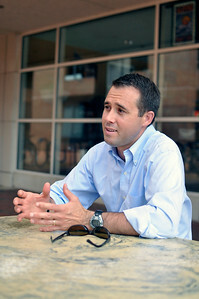 It would be nice if we had a longer term commitment from the mall."